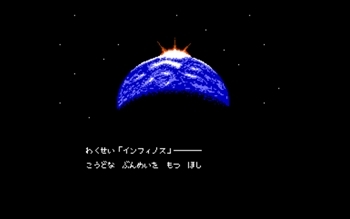 Infinos 0 (7.4mb ver1.0 made 21/07/2014, no install .zip) is a Japanese freeware game, retro 8bit style, side scrolling shooter. 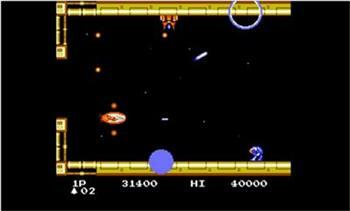 This reminds me of a couple of games from the 8bit era and video game arcades and it plays very well, not too difficult. 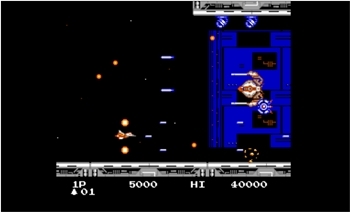 As with almost all scrolling shooters like this, the object of the game is to shoot anything and everything as it's all out to destroy you, shoot or be shot. 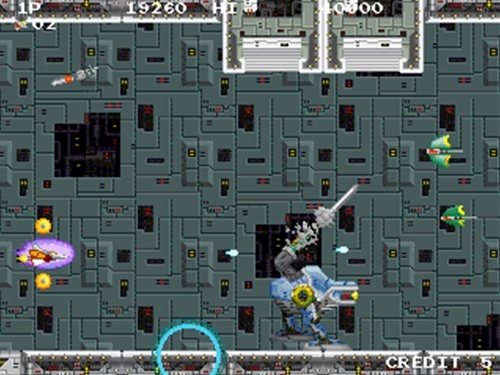 The game features bonus pickups ie upgraded weapons, end of level bosses and game continues. 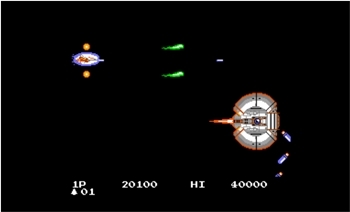 Just another shooter to add to your collection, nothing new here but still a good shooter. This game should play on most Windows computers.